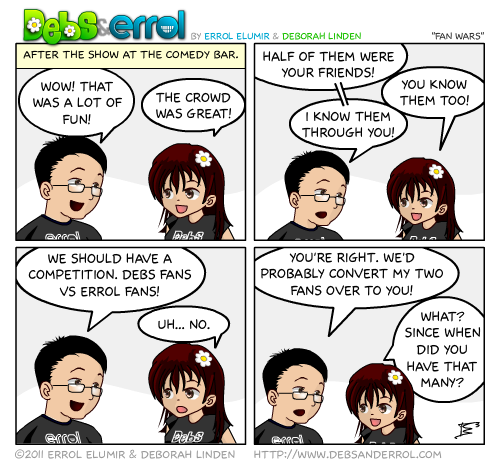 Debs: That’s not true AT ALL and you’ll see that tomorrow at your Birthday Bash! Can you guys switch to a song a day for awhile? I know you can do it. Or a new song added to each comic for one week? I can barely get Debs to record songs for our CURRENT CD. 😀 I would like to though! First I laughed. Then I realized that all my friends I met because I was friends with Debs. Then I cried, then Maggie laughed. She’s such a little trooper.